Entity Deconstructor is a block added by the Thaumic Bases 1 mod. This block functions the same as Deconstruction Table, but it uses living entities as aspect source. When the player stands on it, it will damage the player by a half of heart, give the player 1 temporary Warp and 1 random Research Aspect. The machine can be right-cliked with Air Crystal Block, Water Crystal Block, Fire Crystal Block, Earth Crystal Block, Order Crystal Block, Entropy Crystal Block for this block to be added to the machine. For each block added the working speed will increase. Also after all 6 blocks added to the machine, the machine will be able to deconstruct items and blocks dropped on it, same as Deconstruction Table does. 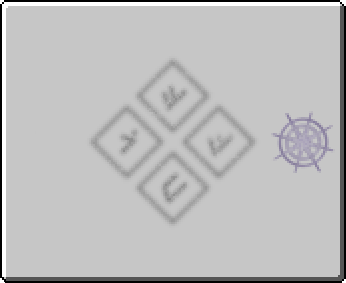 The aspects obtained this way will be immediately added to the player. "Sometimes a thaumaturge needs more knowledge to continue his researches. Sure, he can explore the world, or use the Deconstruction Table, but what else? You have managed to create a device that will slowly kill creatures upon it and send knowledge of those creatures directly into it's owner's brain. To become an 'owner' of this thing just click it once it is placed in the world. However, the knowledge gets corrupted with the distance, and may harm the mind of the owner if it is travelling significant distances." Entity Deconstructor has no known uses in crafting. When all 6 crystal blocks are added to the machine, the machine will be able to kill the player in Creative mode, as if the player was in Survival. This page was last modified on 20 June 2016, at 18:10.